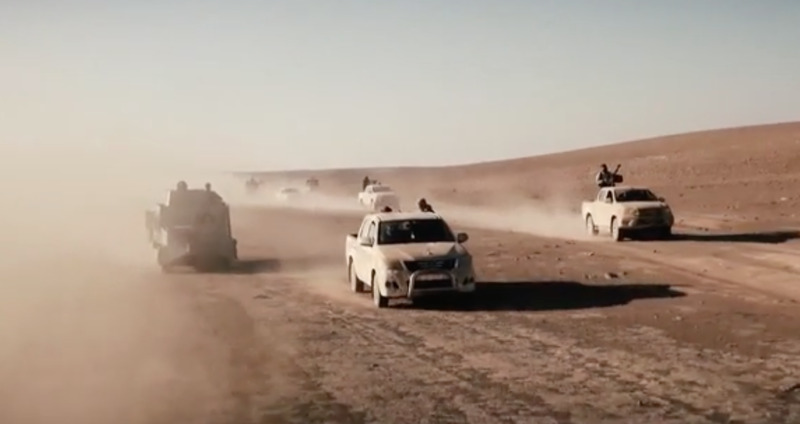 Screen shot of a video produced by ISIL named 'See you in Dabiq' depicting ISIL fighters preparing for an end of the world battle. By wresting Dabiq from the grip of the "Islamic State of Iraq and the Levant" (ISIL), liberating forces have dealt a severe blow to the group's morale and its efforts to project an image of a viable caliphate, given the Syrian town's central role in the group's propaganda efforts, experts told Diyaruna. Dabiq features heavily in Islamic apocalyptic prophesies as the site of a doomsday battle between Muslims and "Romans", a term used for non-believers. ISIL, since its inception on 2014, has used this prophesy as a reoccurring theme in its propaganda videos and statements to help bolster the legitimacy of its so-called caliphate and drive recruitment. Despite the group’s efforts to downplay the significance of the recent defeat, the loss of the symbolic town will have a huge psychological impact on the battle to eliminate ISIL in Syria and Iraq, they said. Cover of ISIL's latest English language propaganda magazine called 'Dabiq'. Screen shot of an ISIL video depicting ISIL tanks invading Rome. 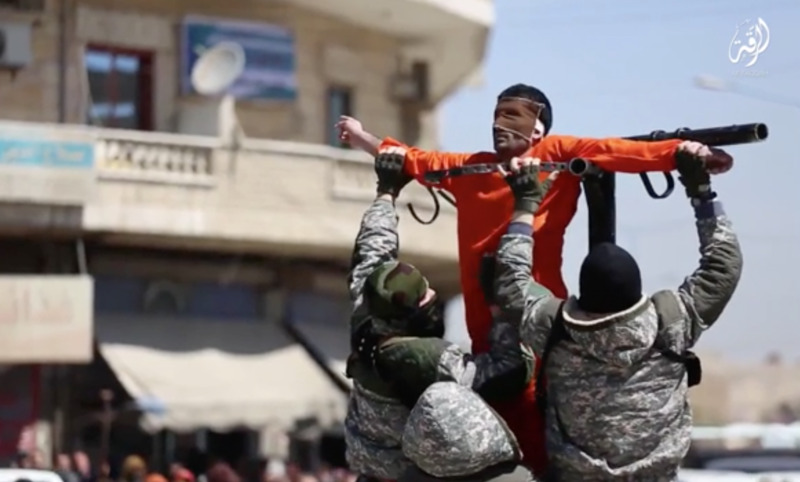 Many ISIL videos depict end of the world battles between the group's fighters and the 'unbelievers'. Just over a week ago, on October 16th, Free Syrian Army (FSA) factions backed by Turkey seized a number of villages and towns in northern Aleppo from ISIL, including Dabiq, as part of the third phase of Operation Euphrates Shield. "ISIL has worked over the past three years to give the town of Dabiq special status," said strategic analyst and terror group specialist Maj. Gen. Yahya Mohammed Ali, who is retired from the Egyptian military. Through its propaganda, he told Diyaruna, ISIL sought to turn Dabiq from an ordinary geographical location "to a very important ideological symbol". This was done specifically "for the purpose of legitimizing the group’s existence and terrorist activities", he said, noting that the town is "of little or no real strategic or military value". Due largely to its symbolic status, he said, the loss of Dabiq is a "painful blow to the group" that will have a significant impact on the course of the battle, especially in regard to its recruitment efforts and the morale of its fighters. ISIL's loss of Dabiq "comes at a time when the group has suffered significant losses of its top commanders as well as losses on the ground", Ali said. The "liberation of the town comes on the heels of other losses the group has suffered in Syria, including the towns of Manbij and Jarablus, and the start of the operation to liberate Mosul in Iraq," he noted. "The events taking place on the ground cannot be isolated [from each other], therefore the first result yielded by the liberation of Dabiq will without a doubt be seen in Mosul, where Iraqi and international coalition forces have embarked on an unprecedented mobilisation to liberate it," Ali said. The town of Dabiq, just south of the Turkish border, is approximately 35 kilometres from the city of Aleppo, said Mazen Zaki, director of the new media department at Egypt's Ibn al-Waleed Studies and Field Research Centre. It is part of the Akhtarin administrative centre in the Azaz district, where ISIL's presence has been contested by opposition factions fighting under the banner of the FSA, he told Diyaruna. Since its emergence in 2014, ISIL has been making heavy use of Dabiq in its propaganda literature and videos, many of which feature a 2004 audio clip from Abu Musab al-Zarqawi, the former leader of al-Qaeda in Iraq. In the clip, al-Zarqawi says, "the spark has been lit here in Iraq, and its heat will continue to intensify... until it burns the Crusader armies in Dabiq". "The group later brought [Dabiq] back to the forefront after seizing control of it in August 2014, and it became one of the group’s key icons," Zaki said. The group even produced an English-language magazine, "Dabiq", in which it heavily promoted the prospect of a "decisive battle between Muslims and infidels" in the town, he said. Since its defeat at Dabiq, Zaki said, ISIL has tried to downplay the significance of its loss by publishing commentary alleging it was not the major battle it has been hyping in its propaganda. "By publishing these rumours, the group is trying to downplay the magnitude of its defeat and minimize the fallout that could ensue from it, particularly with regard to recruitment and morale," he added. Since its inception, ISIL has falsified historical and religious facts and distorted numerous Qur'anic verses and hadiths, said political scientist Abdul Nabi Bakkar, a professor at Al-Azhar University's faculty of sharia and law. This is a calculated move "to give legitimacy to its existence and facilitate its expansion on the ground, and also recruitment", he told Diyaruna. "Weak-minded people and those ignorant of religious sciences fell into the trap of this religious nonsense and joined the group, thinking it was indeed establishing the state and land of the caliphate," he said. "Dabiq’s fall out of the group’s control is a powerful blow to all the religious falsities it promoted," he added. 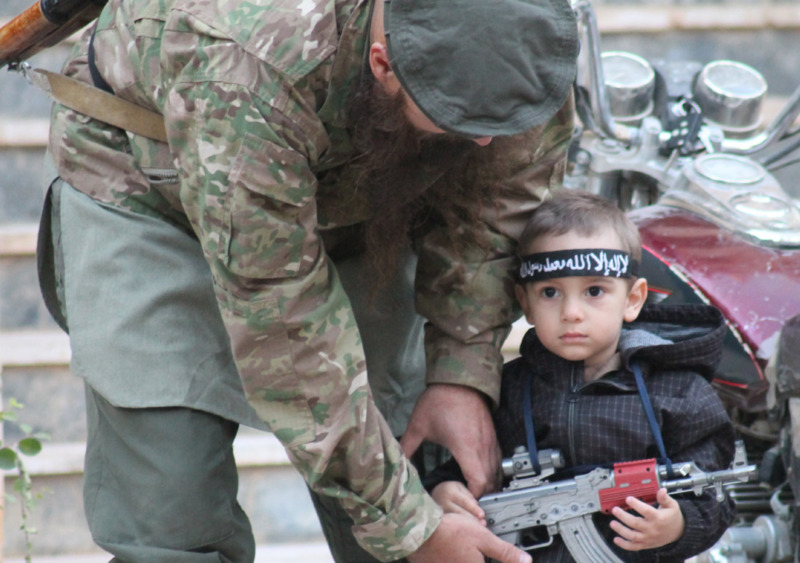 Of the hadith that heralds the apocalyptic Dabiq battle, he said, "there are many interpretations of the issue, and most point to religious symbolism that has no connection whatsoever to the reality on the ground".